St Kilda Film Festival director Paul Harris has been in the hot seat judging the country's finest (and not so fine) short film offerings for 15 years now, having marked the festival's 30th anniversary last year. You would think he's seen it all by now, but the constantly shifting face of film keeps him on his toes. "It's been a pretty exciting year," Harris says. "The digital revolution continues apace. We're starting to see lots of exciting work coming out of non-traditional areas, made directly by the filmmakers and not through film schools or the normal funding bodies. You're seeing stuff literally coming in off the street." This kind of gung-ho filmmaking can be inspiring, but sometimes you have to take the rough with the smooth, Harris jokes. "The down side is it makes it easier than ever to make bad films." Test Drive. Image credit: St Kilda Film Festival. There's more than just the $10,000 top prize for Best Short Film at stake this year too for the 100 films on show; for the first time the St Kilda Film Festival has been accredited by the Academy Awards. The winning film automatically becomes eligible for consideration in the Live Action, Animated, or Documentary Short Film Awards section of the Oscars. "Only a handful of festivals has that kind of recognition," Harris says. Harris says one of the standout shorts created with next-to-no budget was the doco Tofu Man by director Andrew Robb. Shot on a Samsung Galaxy mobile phone, it's a deceptively simple, interviewing Vietnamese man Duc who runs a tofu factory based in a shopfront in Melbourne's Sunshine. "It's a very candid portrait," Harris says. "It turns out he was orphaned in Vietnam and American soldiers took care of him. Eventually he came out to Australia, got involved in gangs, doing drugs and stuff like that, but now he's picked himself up, he's got a family and he's very industriously making tofu. It's very poignant." Another highlight that caught his eye was Lynne Vincent McCarthy's Test Drive, which will screen on opening night. A test drive goes horribly wrong when two brothers' relationship collapses with the female owner of the car still in the backseat, Harris says it's a darkly comic piece. "It was a self-funded movie, but it was so good Lynne actually got post-production funding through Screen Australia." Spartacus star Viva Bianca wrote, directed and stars in I Want You, about a woman who conducts a long-distance relationship with a guy who lives in Israel, largely through a computer screen. "She's a bit of a blonde bombshell," Harris says. "It's a relationship comedy musing on how we interact these days. It's entirely self-funded too." At the other end of the scale, The Landing, directed by Josh Tanner, is a slick piece of sci fi that Harris says looks like it has a Stephen Spielberg-sized budget. It scooped both the Best Short Film prize at the 46th Sitges International Fantastic Film Festival and Best Short Fiction Film at the IPAF ATOM Awards. "It's very chilling, but beautifully done," Harris says. "It's like you're watching a trailer for a big Hollywood feature. There are a lot of directors out there trying to make short film as show reels, to show what they're capable of." With a Rotten Tomatoes aggregated critic score of 4 per cent, you wouldn't have thought there was much demand for more of last year's celebrity-leaden dud Movie 43, but it turns out one sequence filmed in Australia was cut from the final edit, and Harris insists it's actually pretty good. Directed by Steve Baker and Damon Escott, it screens during the St Kilda Film Festival as The Apprentice, starring Kenny's Shane Jacobson and Star Trek's Anton Yelchin. "It's fantastic; it's about a mortician who spends the night in the morgue with a body and I won't say anything more, but it's pretty gross in the end," Harris says. Drawing on the personal experiences of its non-professional actors – Sudanese refugees now living in Shepparton in rural Victoria – The Fabric, from director Thomas Baricevic, is a compelling selection. "It's about what happens when you escape and then you grow up in an Australian country town and that, of course, can be very difficult," Harris says. "It's about how you get along with the other kids and finding love. It's a film that's been made with a purpose." The Apprentice. 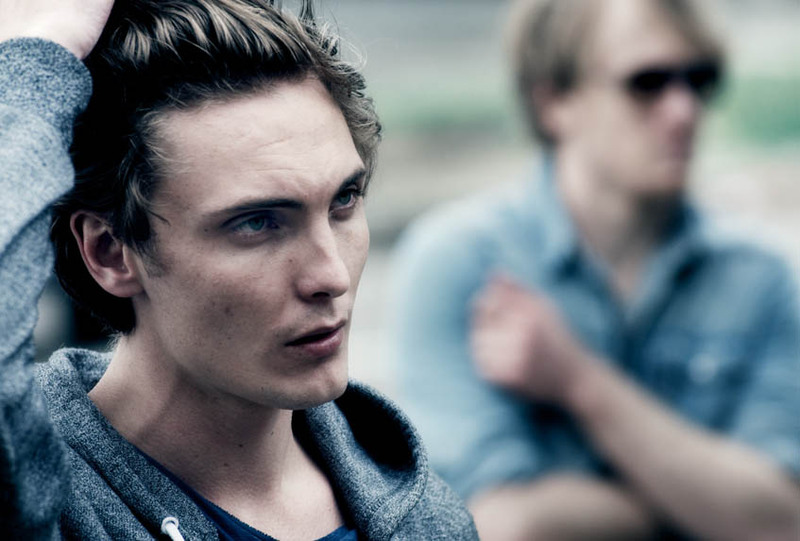 Image credit: St Kilda Film Fesitval. Billed as the world's first gay priest werewolf film, Swallow, written and directed by local filmmaker Mia Kate Russell, a movie makeup artist who has worked on the likes of Red Hill and I Frankenstein is a wickedly sharp comedy horror. "It's really off-the-wall and very funny, with some fantastic special effects in it," Harris says. He also recommends short doco Laura Loves Tattoos by Moz Waters. Revealing a difficult childhood, Laura has gone on to thrive in the male-dominated environment of tattoo parlours, a life-long goal ticked off. "It talks about how the industry is all guys, and she's one of the few females who've made their mark, is very famous and has been accepted," Harris says. At 31-years-old, Harris says the St Kilda Film Festival remains a vitally important part of St Kilda's arts scene, supported year in, year out by the local council who set it up many moons ago. "It started off as a very grassroots community event and now it's a national competition with people coming from all over Australia to enter it, and arguably now it's international, with the Oscar accreditation."